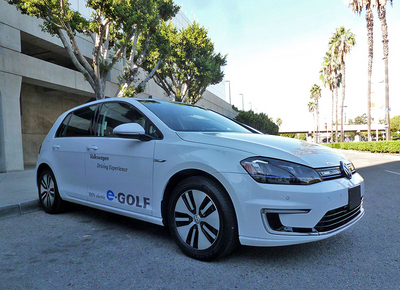 My Netherlands-based colleague Henny Hemmes was in Los Angeles for the recent media previews at the LA Auto Show and had the opportunity to take a quick spin in VW’s new e-Golf. Click here to read what she had to say on this all-electric entry from VW. This entry was posted in automobiles, compact cars, electric vehicles, fuel economy, new car review. Bookmark the permalink.